I recently cashed out my Adsense earnings. As what I've expected, my Adsense earnings was more than my Nuffnang earnings, and the revenue generated through Adsense was in fact faster than I thought. I started using Nuffnang probably about 3 years back, but only active in blogging for about a year. I have 4 cash out with Nuffnang, and my total Nuffnang earnings is about RM263 up to date. On the other hand, I've been using Adsense for about a year, and my earnings up to date is $115.23, which is roughly RM350. 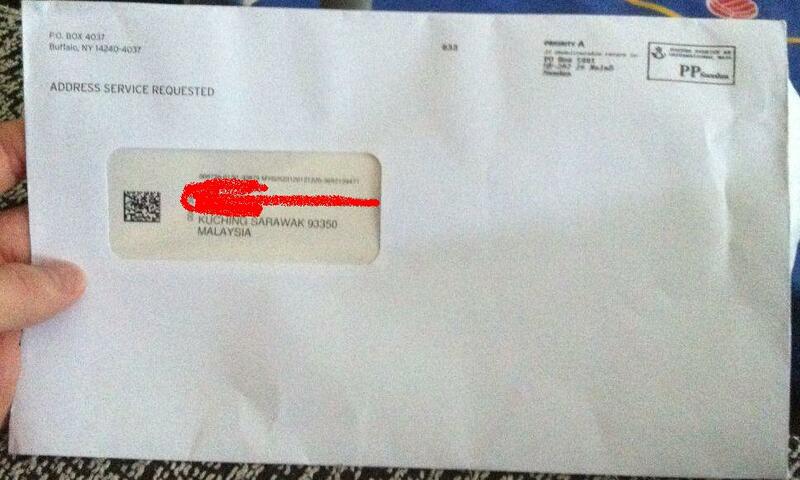 Cheque arrival at my doorstep to Kuching. 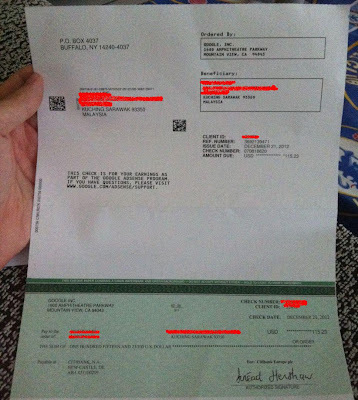 The cheque together with the letter attached. 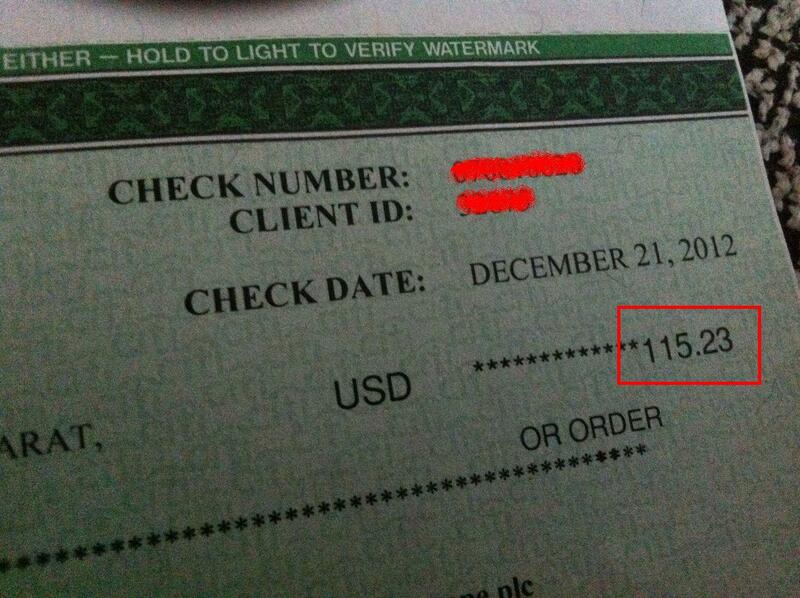 Close up view of the cheque, with the earnings of USD 115.23. 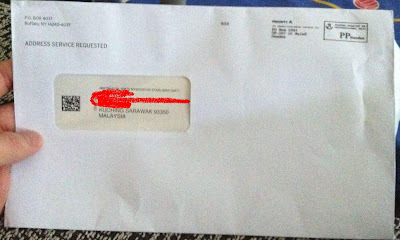 Pretty fast process time as compared to Nuffnang, Cheque issued on 21 December 2012, and arrived at my doorstep early Januray. Nuffnang will need 30 days from the end of the month when you cash out, for gliterati member, and as long as 60 days for non-gliterati member. I know this amount is not much, many of you are probably doing way better than I do. However, this is all about a bonus for me to keep me moving forward and continue to blog. Remember, Adsense earnings takes time, I started with only a few clicks per month, to about 400-600 clicks per month currently, average of 10-20 clicks per day. It's a satisfaction to see how your hard work you put into your blog has turned into monetary form. For those who are still confuse whether to use Adsense or Nuffnang, or to use both, you can read more details at Adsense vs Nuffnang, or if you would like to achieve more on using Nuffnang alone, please read How to Earn from Nuffnang.